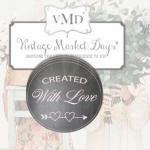 Blog ~ With Love and Co.
Don’t Forget to Recycle and receive a 10% discount. All of us at “With Love & Company” want to wish you the best in the coming New Year and thank you for the past 365 days. This year has been a whirl wind of new products, so many shows and absolutely nothing but growth, and all because of the people in our lives. All of you that have purchased something, come by the booths, called us, or found another way to share a part of your life, we are extremely great-full. You being you is what it is all about. We genuinely enjoy every shared moment and are looking forward to a grand new year. To celebrate and close out the year, the boss (teana) has given permission to put up a site-wide 15 percent off sale. Use the coupon code lovelove15 at checkout and we will reduce the price automatically. The sale is limited to purchases on our site – www.withlovelv.com – and will end the last day of the month. So, don’t wait to long. Come buy buy buy! For those that are website challenged, please call. We have updated our website quite a bit over the last few days and hope that you like it. Minimalization and a developing a cleaner look was part of our goal. This has made it slightly faster and given it an overall a more polished look. We also added a feature to allow you to access your account using one of your social network accounts. The hoops that we had to jump through to get approved by Google, Facebook, and Instagram really put us to the test. Glad to see it though. Site security and guarding your privacy are very important processes to us. We don’t capture or store any of your financial information on our site, but do guard the information you have in your account. We only use verified safe coding and some of the industries top firewall defenses in providing a safe online space to buy your body products. If you every have a question don’t hesitate to let us know. Also, please check out the changes to the site and let us (scott) know your thoughts. It is that time of year again and With Love & Co. will have its entire mobile store stocked with your “must have” body products at Vintage Market Days – Fall 2018. This event is a bi-annual event and features some of the very best in vintage-inspired original art, antiques, clothing, jewelry, outdoor furnishings and of course, the best body products store in the valley – With Love & Co. With Love will be there with a huge booth and have plenty of sales people giving out free samples of healing balm and more. As well, I am sure the harrowing story that started With Love is sure to be told a thousand times and will inspire many that have looked into the face of a tragic moment. The show is held twice a year and runs for a 3 days; Friday, Saturday and Sunday. The people start lining up early on Friday and continue to flow in until the completion of the event on Sunday at 5 pm. Last years event had an verified attendance of 10,000. This years event promises to be much larger and currently has over 19,000 RSVPs and that number continues to grow. You will see an amazing array of products, vendors booths and an astonishing collection of vintage items. It is arguably the best showing in Las Vegas of antiques, art, creative passions and more. A must see event, you can find out more information on our events page and also on the Facebook vintage markets days page. Will we see you there? Hoping so. 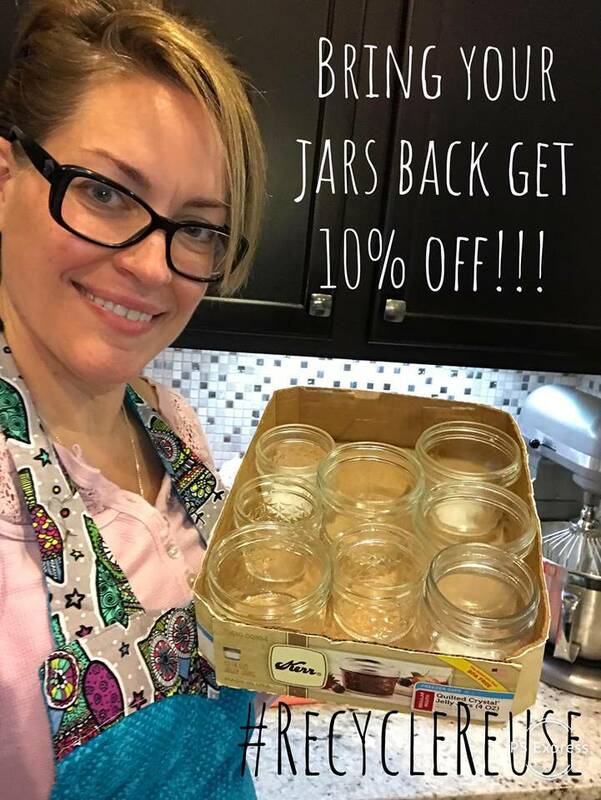 When you come mention this post and the coupon “Holidays 2018” for 10% off of your purchase. for any type of microdermabrasion. Then rinse and follow by gently putting on a small amount of Body Butter or Healing Balm. Click Here to download and print additional information. Scrub: If you are in the shower, wash your hair first. Wet your hands and face, take a quarter sized amount (relative to the affected area) and massage into wet skin to cleanse, lightly exfoliate and detoxify skin. If you are having a current breakout, mix in an equal amount of raw honey. Rinse thoroughly or use a warm wet washcloth(your preference) to remove any residual scrub. Follow by gently putting on a small amount of Body Butter or Healing Balm. any residual scrub. Follow by gently putting on a small amount of Body Butter or Healing Balm. Men: This scrub will take the place of your pre-shave oil. Prior to shaving wipe off any excess oils with warm wet washcloth to ensure an easy time and to avoid having to unclog your razor more often. New Crew @ With Love & Co.
As we went through our day at the markets yesterday, we realized every now and then one of the staff members (Frosty) would go missing for a few minutes. We would look for him, call him, text him, even tweet to him hoping he was looking at social media. This was on repeat it seemed. We would eventually find him (Frosty) visiting different people in the market. The pictures below were taken on location every time we found him. The gull of this guy! Found at Mark’s Paracord. Maybe he was getting sharing stories. Said he missed his days in Paris. Thought eating French bread would perk him up. Sweet tooth being taken care of at C&D Honey. Finally back at work with the rest of the #bathbomb crew. This weekend was the annual Summerlin Art Festival at the Downtown Summerlin Mall. We were there on Saturday at our normal farmers market, and also on Sunday as part of the overall event. I must say, these two days were the best days of the year. We had a lot of fun meeting and interacting with what the thousands of people that came by the With Love LV booth. Some estimates put it at 40,000 in attendance and I believe those estimates are conservative. We had 4 people manning our booth and loved every minute, every customer, and every person that just stopped by to share a story and a bit of their life. Absolutely awesome weekend. We had a mom stop by the booth with her three beautiful kids. One of them, the smallest, unfortunately suffers from pretty severe eczema and the mom shared her story with us. She told of the difficulties and the lack of success of other products at providing some relief to her toddler. 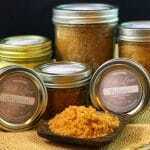 She has tried many different products and was considering a clinical trial that she had heard about. We introduced her to our body butter and our other all natural line of products and the ingredients in the body butter. She was desperate to provide some relief to her baby. 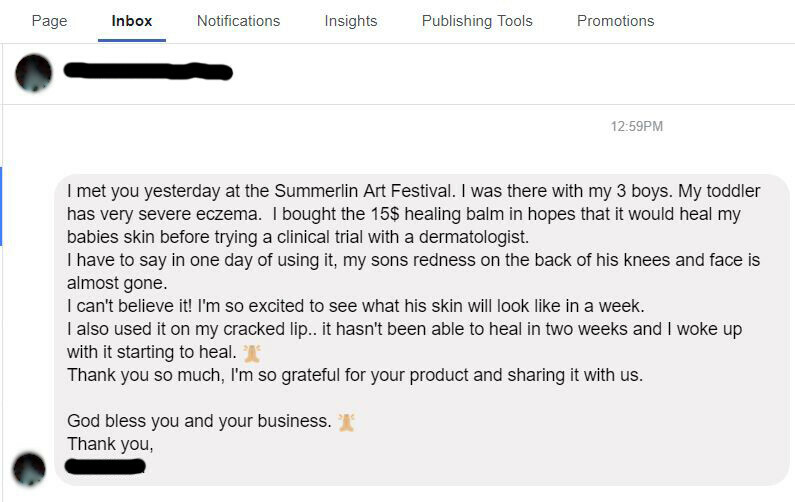 With our 100% guarantee of a refund, she purchased the healing balm and off they went. 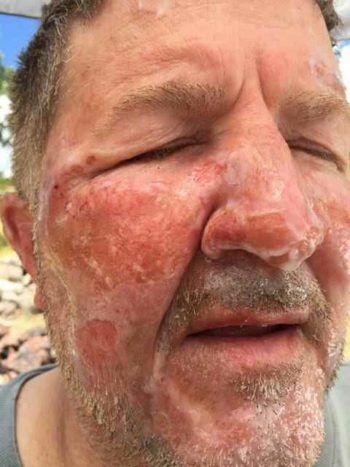 She reached out to us on Facebook and let us know that the Body Butter (healing balm) was working wonderfully and that in one day of use, the redness was all but gone on his knees and his face. This one bit of success and feedback was worth the entire weekend to us. Several weeks ago a mom and her little girl stopped by the booth and bought some body butter. Two weeks later they came by again and you could definitely she improvements in her hands. However, we thought she would benefit and heal faster from the our newest product, healing balm body butter. This weekend she stopped just to share her experience. She also told us of having purchased a temporary stand-in product from a competitor of ours, and quickly realized that not all body butters are the same. 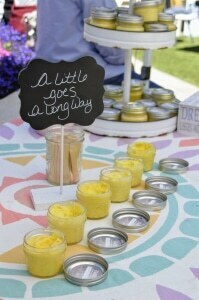 The mom also told us that she was purchasing more of the healing balm, and that we now had a lifetime customer.